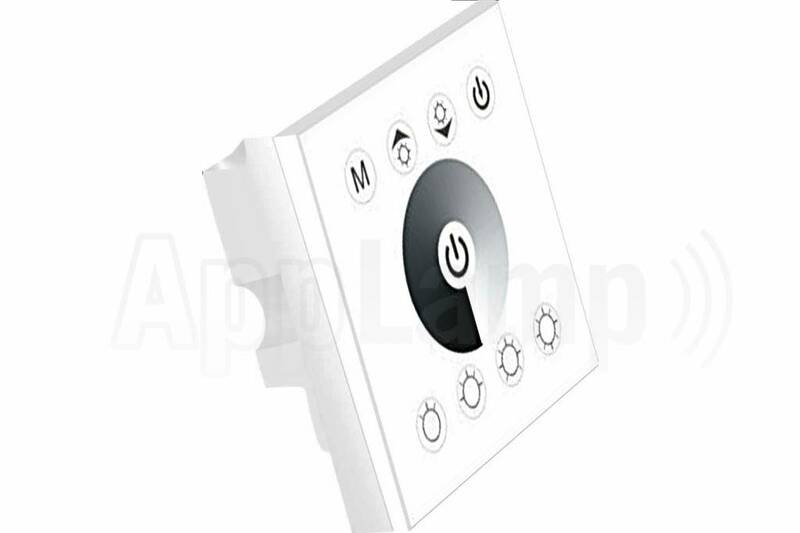 Recessed wall touch panel 12 to 24 volt LED strip dimmer (white). Quickly set the brightness for single color ledstrips via this luxuriously finished recessed wall dimmer with touch sensitive panel. 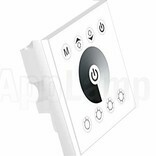 12 to 24 volts Touch Panel LED dimmer (white). Easy installation and instantly control your single color LED led strip or other led light sources with this recessed wall dimmer touch panel. With four convenient shortcuts for 25%, 50%, 75% or full brightness. Or use the touch wheel to variably control the brightness. For partying there are three effect modes available with adjustable speed: fade, strobe, fade jump. Suitable for 12 to 24 volt LED strips and power supplies, 2 channels (synchronous) with a maximum capacity of 4 amps per channel, or a combined power of 192 watts at 24 volts / 96 watts at 12 volts. This product does not fit in a standard recessed wall box. 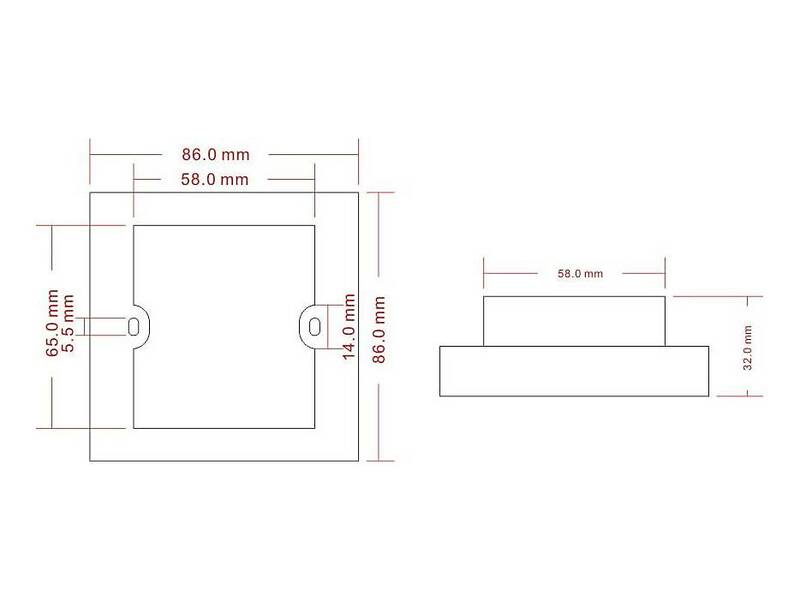 The recessed wall box must measure 86 x 86 mm. 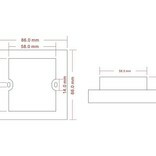 See product specifications and products images for dimensions. A 12 to 24 volt power supply and a 12 to 24 LED strip is required to use this product, check out the related products below.